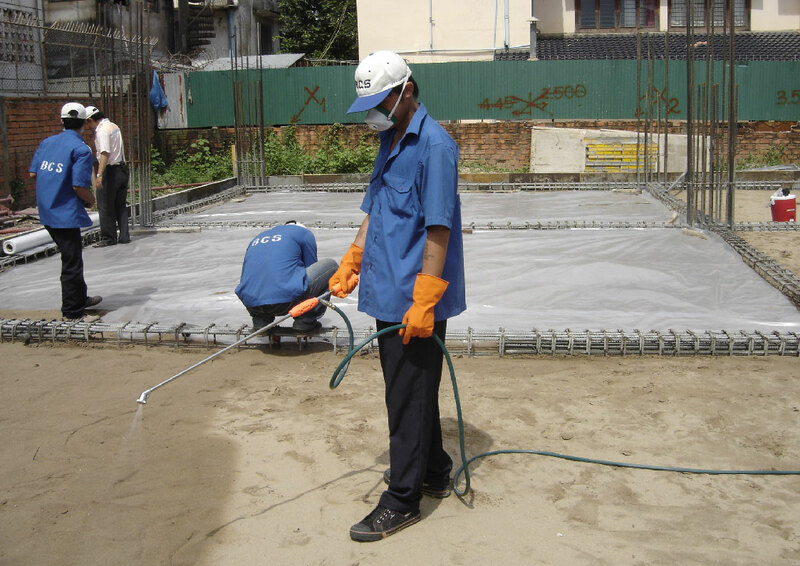 he best protectionagainst termiteintrusion as the chemical barrierisspray evenly onto the soil before the solid concrete is pour over it.Thus creating abarrier, underneath the solid concrete. Maxxthor – A US product will be introduced to protect your premise. WARRANTY! Option of a five (5) years up to ten(10) Warranty Certificate will be issued basedon the dilution of active ingredient. "We would like to commend your company on a job well done in cleaning our office space. The floors look beautiful and the desktops and ledges are spotless. Keep up the great work." "Just wanted to say thanks for the great job your men do cleaning our office. It's been years since the view from my office looked so good." prompt and do a great job, the technicians are friendly and very professional. Thanks to BPS." © 2009-2014 - BPS Cambodia Co., Ltd.